“Did Anne,” Cromwell wonders towards the end of Bring Up the Bodies, “understand what was coming?” Even as the confessions are gathered that condemn her–even as her own uncle carries the warrant for her arrest, she goes “blindly through her last morning, doing what she always used to do.” What should she be doing, though? What could she be doing that would make any difference? We know, after all, how the story ends–but the fleeting poignancy is that she can’t be sure, can’t even altogether understand how she has lost the game she played with such brilliance. “Ready to go?” asks her uncle Norfolk; “I do not know how to be ready,” she replies. It’s telling that Anne’s defeat manifests itself as disorientation: in the intricately plotted and plotting world Mantel has created across the first two books of her Cromwell trilogy, awareness is everything. Cromwell relies for his own power on his literal network of informants as well as on the relentless acuity of his inward eye, arranging and rearranging players and pieces in his mind until he is as sure of success in his political life as he is in the game of chess he portentously plays with Edward Seymour, brother of meek Jane, object of King Henry’s latest obsession. 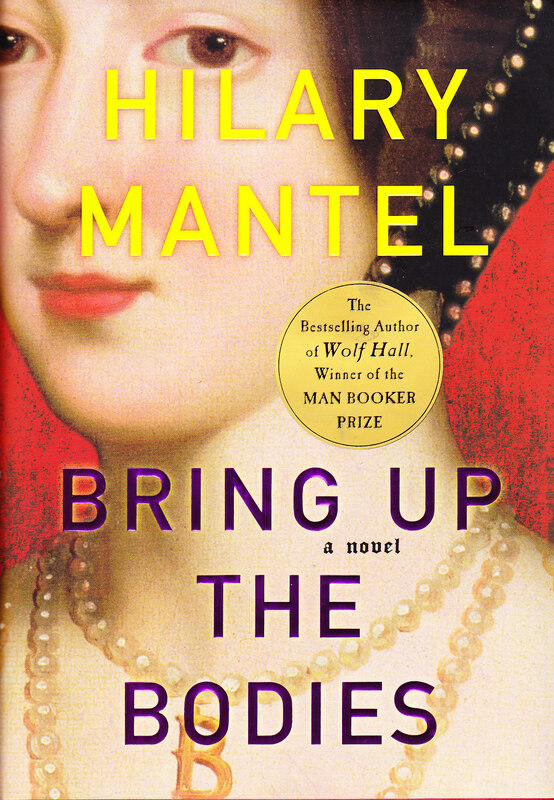 “A world where Anne can be queen is a world where Cromwell can be Cromwell,” it occurs to him in Wolf Hall. In Bring Up the Bodies he must discover how Cromwell can survive as Cromwell in a world where Queen Anne must be replaced. Anne’s rise enabled his, but her fall must not bring him down, and so with clinical precision he rearranges his alliances and once again commits himself to getting Henry what he wants. That this time his duty to his king coincides with his own longstanding grudges–against those who destroyed and then mocked his fallen mentor, Cardinal Wolsey–makes his job just that much sweeter. On its own terms, it’s a faultless logic–perhaps even a faultless justice. Anne must go; adultery and treason will be the charges; the charges must be proven, so the men must be found guilty; once they are found guilty, Anne’s guilt too is concluded; they die, she dies, and the king is free to marry Jane Seymour and beget a son for England. The men must be found guilty of adultery and treason whatever the facts of their relations with the queen, but as they are at any rate guilty of something else, their deaths are deserved and no moral harm is done. If that reasoning makes you squirm, then you are onto what I suspect is Mantel’s game, which seems to be to test the limits of our sympathy (our complicity, even) with a protagonist driven increasingly by calculation and self-interest, one who, despite having strong loyalties and family affections himself, is all but unmoved by the human desperation his machinations engender. The Cromwell of Bring Up the Bodies is colder and more sinister than his counterpart in Wolf Hall — or perhaps the difference is that the earlier Cromwell is an underdog, on the rise, always a compelling dynamic, whereas in Bring Up the Bodies, though he is still disdained by the court for his lowly origins, now he is Master Secretary, seemingly both omniscient and omnipotent, and holding on to power is never as attractive as winning it. Mantel plays her hand deftly, though: Cromwell himself recoils just enough from his own cruelties to keep him on the right side of unforgivable. Interrogating young Francis Weston, child of privilege (“never a moment’s doubt about his place in the world, never a moment’s anxiety”) Cromwell sees “the boy’s head sink into his hands”– “Perhaps the facts will come out now?” And then, inexplicably, he excuses himself and leaves the room. Is it the truth he fears? Why, if it will legitimize the accusations, the sentences, the deaths that are already inevitable? To save Weston, perhaps, from denouncing his friends and then living — dying — with that betrayal? To preserve Weston’s innocence, such as it is, in a world where innocence seems impossible? Or perhaps he just needed air. Let us say you are in a chamber, the windows sealed, you are conscious of the proximity of other bodies, of the declining light. In the room you put cases, you play games, you move your personnel around each other: notional bodies, hard as ivory, black as ebony, pushed on their paths across the squares. Then you say, I can’t endure this any more, I must breathe: you burst out of the room and into a wild garden where the guilty are hanging from trees, no longer ivory, no longer ebony, but flesh; and their wild lamenting tongues proclaim their guilt as they die. In this matter, cause has been preceded by effect. What you dreamed has enacted itself. You reach for a blade but the blood is already shed. The lambs have butchered and eaten themselves. They have brought knives to the table, carved themselves, and picked their own bones clean. It is a long moment. He feels himself on the edge of something unwelcome: superfluous knowledge, useless information. He turns, hesitates, and reaches out, tentative . . . But then she raises her hands and clasps them at her breast, in the gesture Lady Rochford had showed him. Ah, Queen Esther, he thinks. She is not innocent; she can only mimic innocence. His hand drops to his side. He turns away. He is relieved — not that she is guilty, for he has nothing more certain than his own belief that “she would commit any sin or crime” to tell against her — but she does not intrude upon him any inconvenient truth. All he ever wants is “the truth little by little and only those parts of it we can use.” Anne’s protestations of innocence, especially if truthful, would not be useful at all for Cromwell’s purposes, or the king’s. He believes he understands Anne, as Wriothesley does not. When she said the queen’s lodgings were too good for her, she did not mean to admit her guilt, but to say this truth: I am not worthy, and I am not worthy because I have failed. One thing she has set out to do, this side of salvation: get Henry and keep him. She has lost him to Jane Seymour, and no court of law will judge her more harshly than she judges herself. . . . She knows adultery is a sin and treason a crime, but to be on the losing side is a greater fault than these. . . . These days are perfect. The clear untroubled light picks out each berry shimmering in a hedge. Each leaf of a tree, the sun behind it, hangs like a gold pear. Riding westward in high summer, we have dipped into sylvan chases and crested the downs, emerging into that high country where, even across two counties, you can sense the shifting presence of the sea. In this part of England our forefathers the giants left their earthworks, their barrows and standing stones. We still have, every Englishman and woman, some drops of giant blood in our veins. In those ancient times, in a country undespoiled by sheep of plough, they hunted the wild boar and the elk. The forest stretched ahead for days. Sometimes antique weapons are unearthed: axes that, wielded with double fist, could cut down horse and rider. Think of the great limbs of those dead men, stirring under the soil. War was their nature, and war is always keen to come again. It’s not just the past you think of, as you ride these fields. It’s what’s latent in the soil, what’s breeding; it’s the days to come, the wars unfought, the injuries and deaths that, like seeds, the soil of England is keeping warm. I will leave behind me a great mountain of paper, and those who come after me . . . will sift through what remains and remark, here is an old deed, an old draft, an old letter from Thomas Cromwell’s time: they will turn the page over, and write on me. Or perhaps it’s just the weather. It pulls me down and makes me think like you, that one should shrink inside, down and down to a little point of light, preserving one’s solitary soul like a flame under glass. . . . I truly believe I should be a better man if the weather were better. I should be a better man if I lived in a commonwealth where the sun shone and the citizens were rich and free. “Cromwell’s cold vengefulness, originating as it does in his love for Wolsey, paradoxically humanizes him” – what a perfect description.